Jackson is a lifelong Alaskan and grew up recreating across the state, and has a passion for the state and ensuring its resources are protected and developed responsibly. He currently attends Boise State University, where he serves as the Government Relations Officer, lobbying on behalf of over 24,000 students. He is a member of the Honors College and is pursuing a double-major in political science and economics. He plans on attending law school to focus on natural resource and constitutional law. Ultimately, Jackson hopes to return to Alaska to work within the legal and public policy sectors. When not working with ACC, Jackson can be found running, skiing, fishing, or exploring Alaska. He also works as an Associate with the Alaska-based consulting firm Kallander & Associates, and with the Arctic Encounter Symposium, a nonprofit dealing with Arctic issues. A lifelong Oregonian who now resides in Washington State and attends Santa Clara University, Spencer is a true advocate of the phrase “west coast best coast”. He is currently working on a double major in political science and Spanish at SCU, where he helped start a TPUSA chapter while also being involved in sports broadcasting and stand-up comedy. An avid sports fans who roots for his northwest sports teams religiously, when he’s not doing work for the ACC you can usually find him on the golf course or playing pickup sports. He was originally an intern for the Summer of 2018, but after enjoying the work and getting to know the organization he decided to stay on in the legislative department. He assists on legislative team projects and has written multiple ACC op-eds, and felt drawn to the organization because of its national prominence with such young leadership. Mitchell Nemeth currently holds a Master in the Study of Law from the University of Georgia, as well as a Bachelor of Business Administration in Finance from the University of Georgia. At the University of Georgia he founded the Young Americans for Liberty chapter, and he was an active member of the College Republicans, serving as the Greek Life Outreach Coordinator. He worked on Capitol Hill as a Congressional Intern, and he continues to be an active member of the Georgia Republican Party. He currently assists the Legislative team by providing analysis on various bills and legislative priorities. 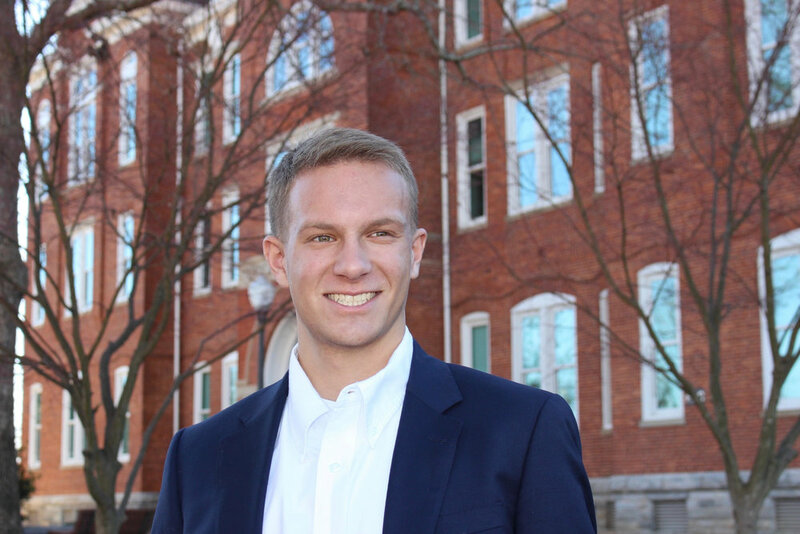 Will Galloway is a lifelong South Carolinian and undergraduate at Clemson University as a Lyceum Scholar studying Political Science with a minor in Military Leadership. Will is active in the South Carolina Republican Party and has experience with campaigns at many levels He's an avid outdoorsman and loves to hunt, hike, canoe, kayak, and do pretty much anything that takes him outside.